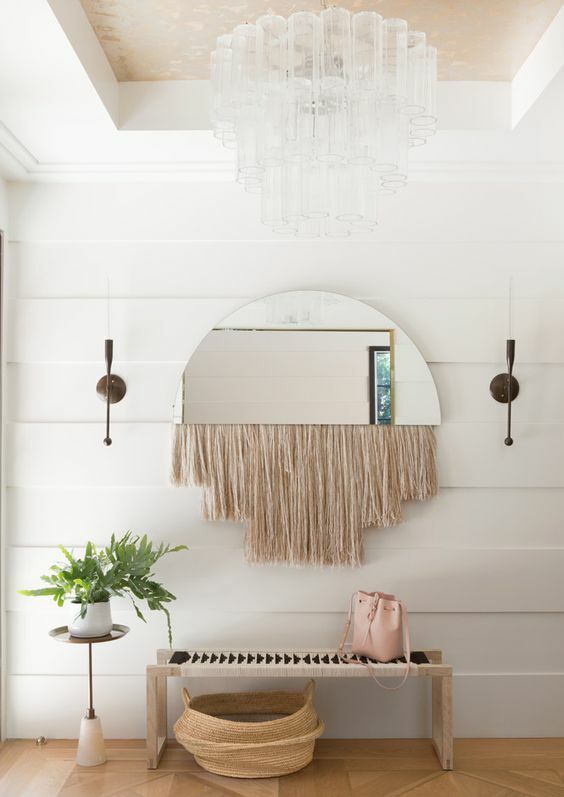 With boho chic style being on top, macramé, fringe and other free-spirited elements became hot and edgy. 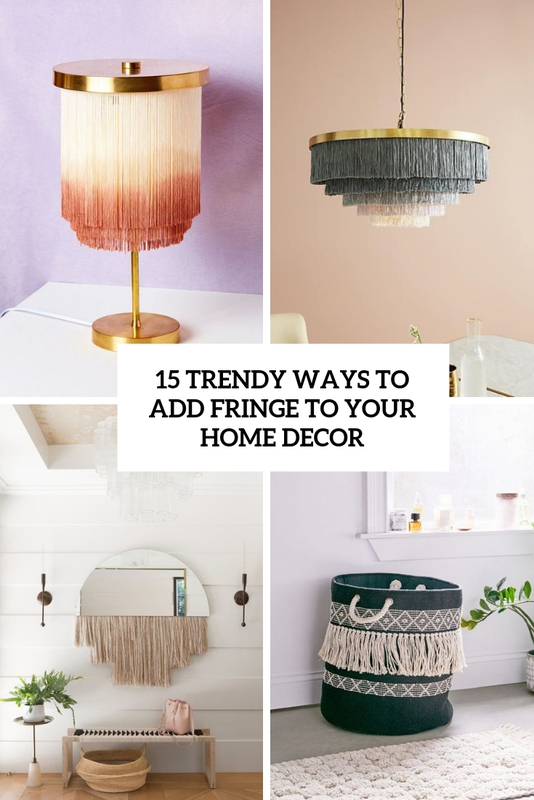 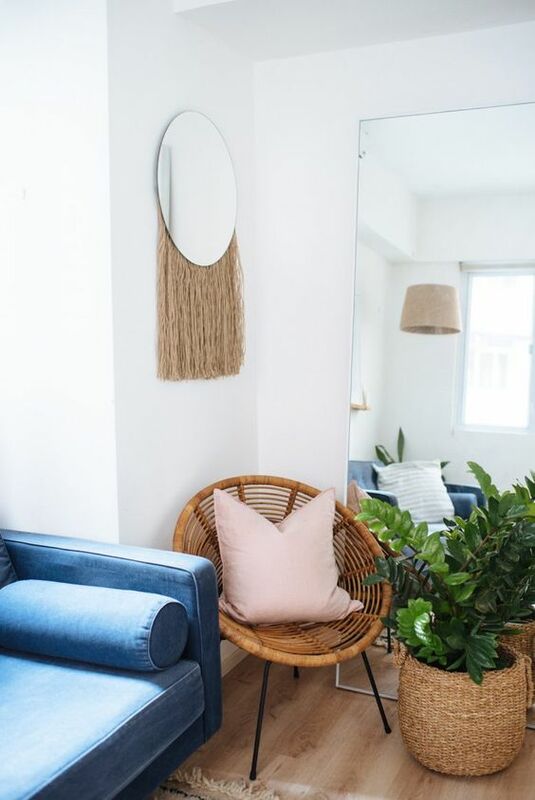 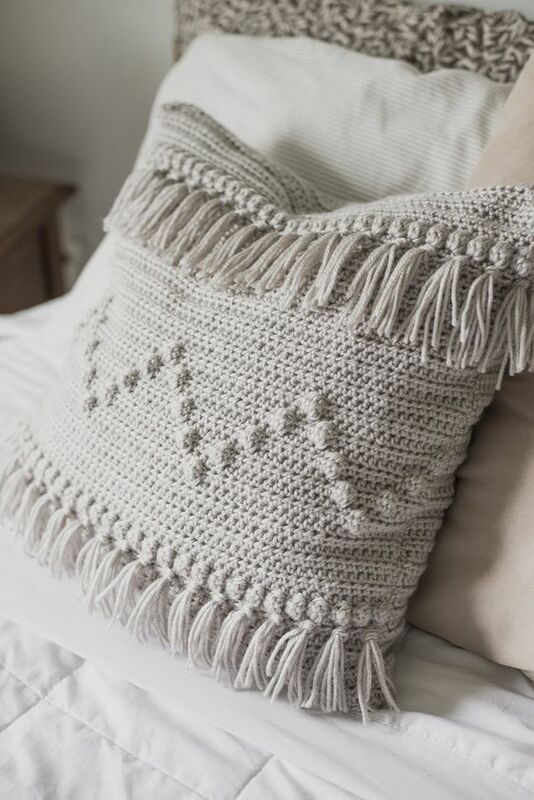 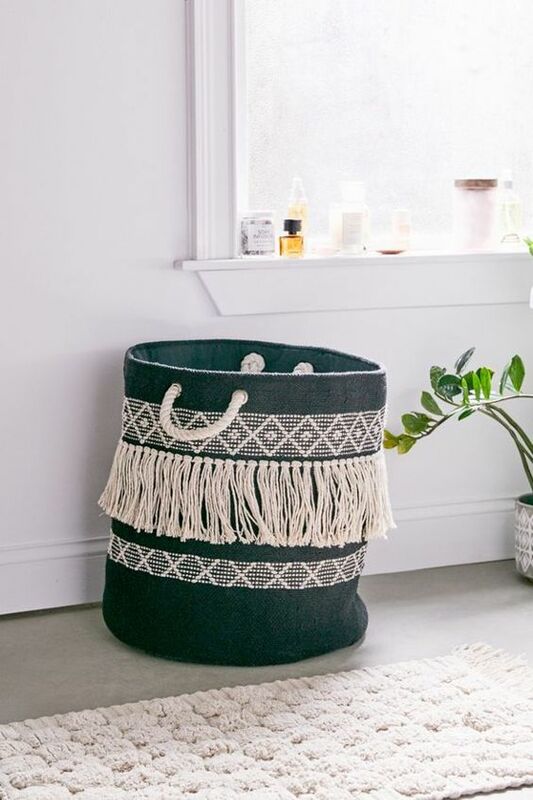 We are trying to add various boho chic touches to our home decor, and fringe is a great idea to do that without going too wild. 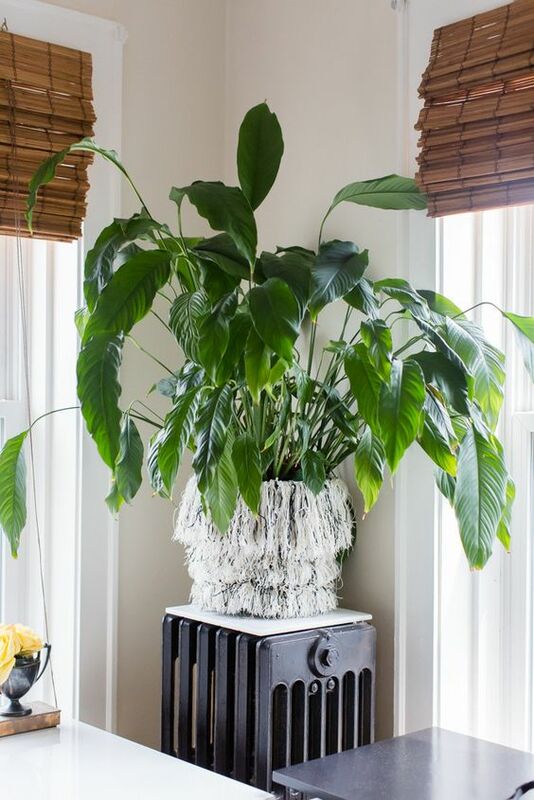 Here are some ideas you may steal. 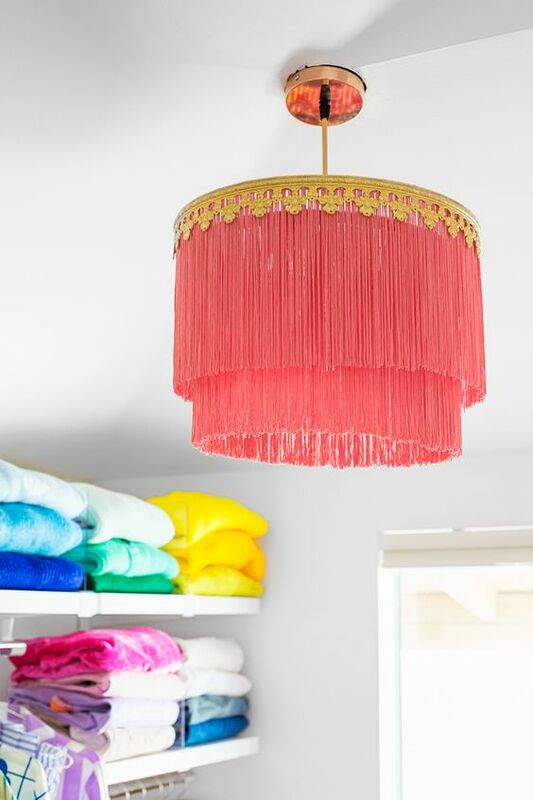 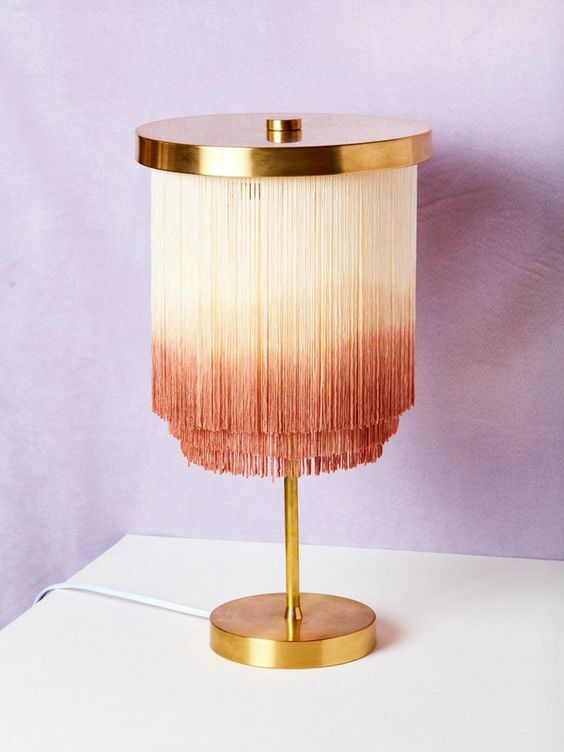 Lampshades are great to incorporate fringe into your home decor – you may DIY a lampshade with layers of colorful and long fringe with an ombre effect. 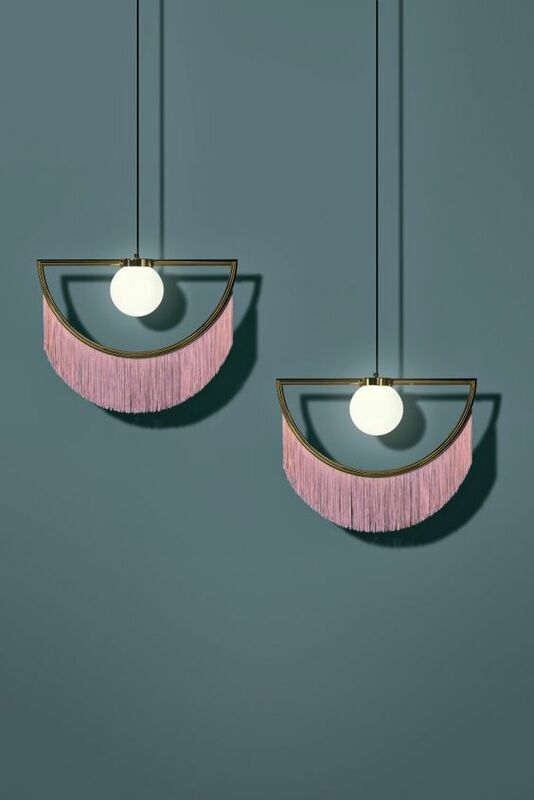 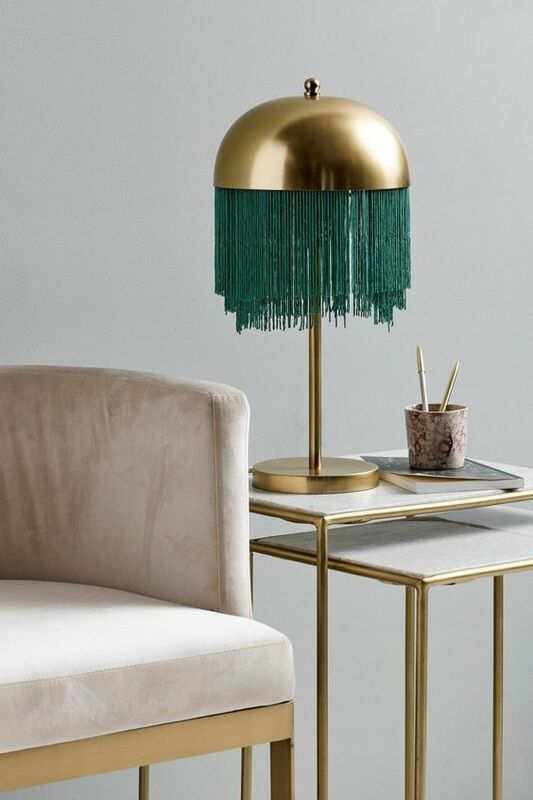 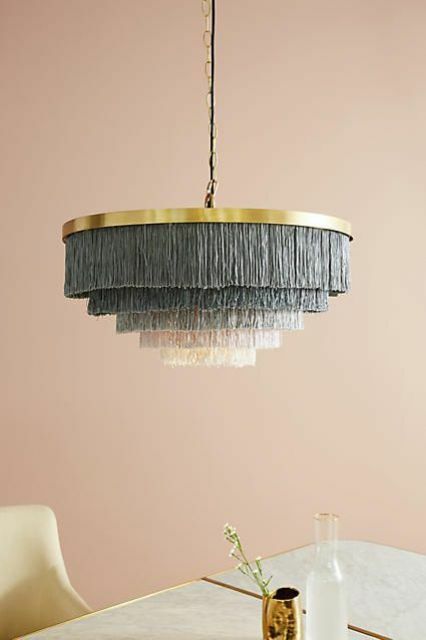 You may pair colorful long fringe with metallic bases and legs to make the lamp even bolder. 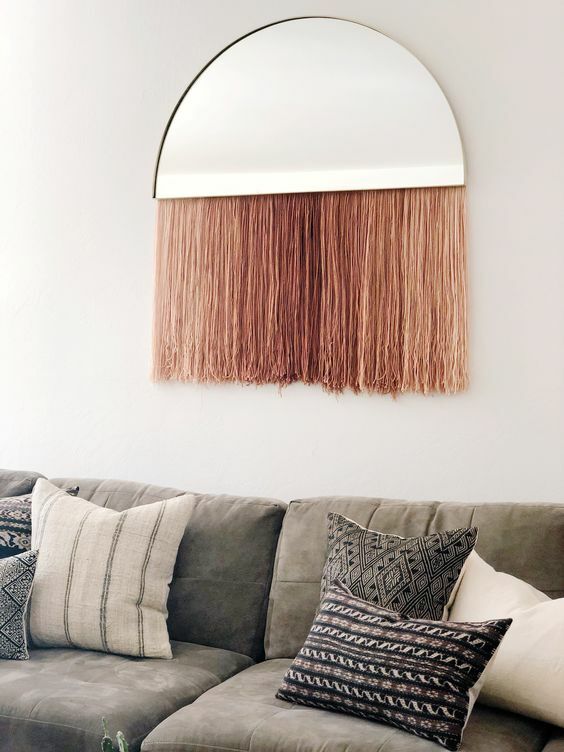 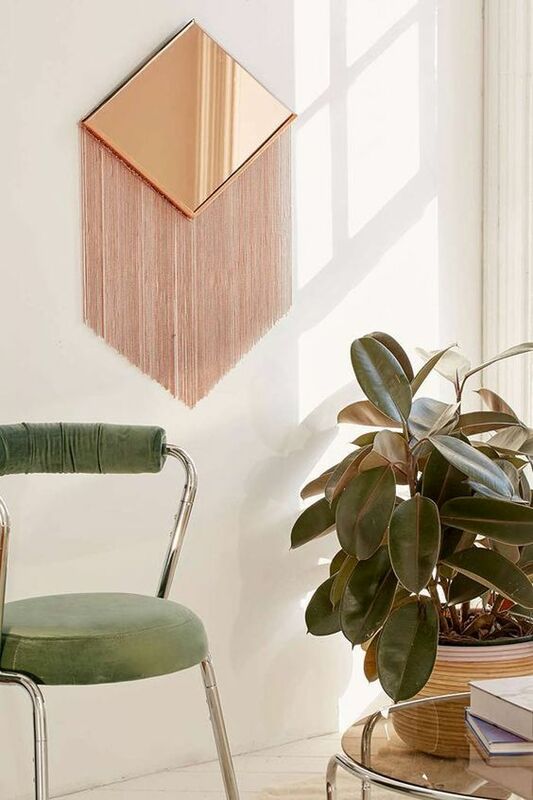 Fringe mirrors are a super edgy and hot idea to decorate a space, they instantly make a statement. 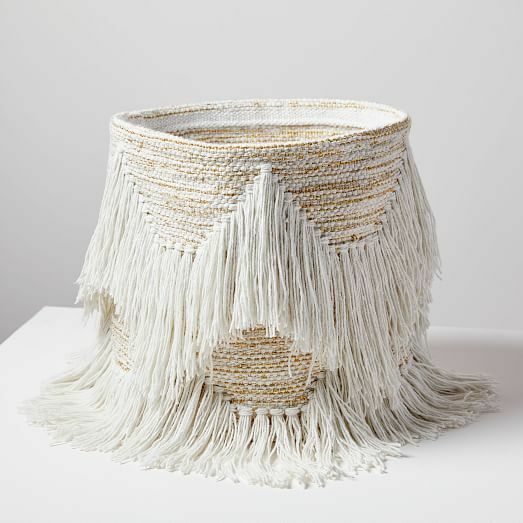 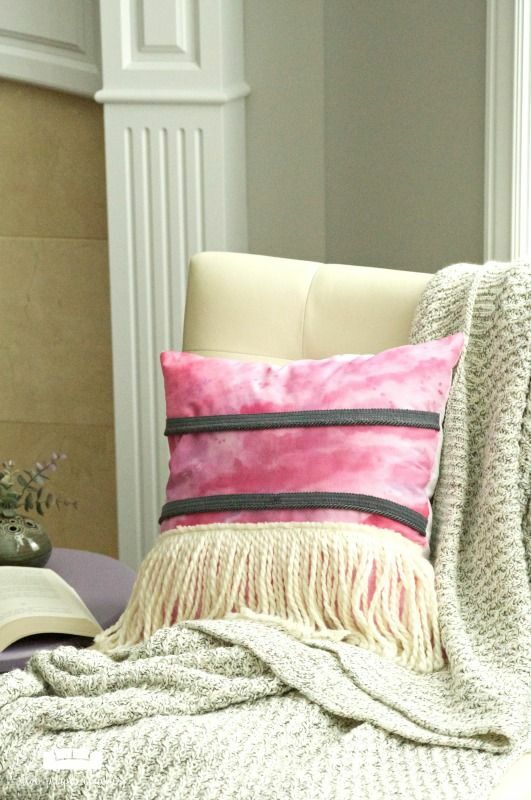 Boho fringe pillows, baskets, rugs, bedspreads are welcome to make your space free-spirited. 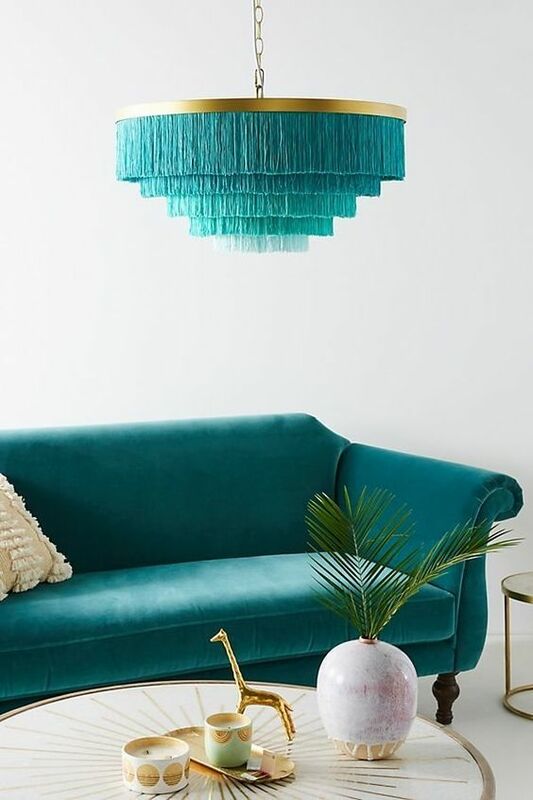 DIY some pieces and items to make your home amazing!